Seehofer knows that he is in trouble if he goes (one inch) against the ordered agenda. His hands had been tied. Germany’s populist, anti-immigrant AfD Party placed third in the recent elections, but judging by some recent by the newly-formed German government, they may as well have won. Last Friday Germany’s new Interior Minister Horst Seehofer – a member of Chancellor Angela Merkel’s CSU Bavarian allies who are further to the right than her own Christian Democrats – declared that “Islam does not belong to Germany“, contradicting former German president Christian Wulff who fueled a debate over immigration in 2010 by saying “Islam was part of Germany” and also set out hardline immigration policies in his first major interview with Bild published last week. He also said that he would classify more states as “safe” countries of origin, which would make it easier to deport failed asylum seekers. The statements – an obvious attempt to court populist voters – come after Merkel’s conservatives, and their coalition allies – the Social Democrats – lost ground to the anti-immigrant Alternative for Germany (AfD) party in elections last year. As Reuters noted, Seehofer was particularly keen to show his party is tackling immigration ahead of Bavaria’s October regional election, when the AfD is expected to enter that state assembly. “Of course the Muslims living here do belong to Germany,” Seehofer said before going on to say Germany should not give up its own traditions or customs, which had Christianity at their heart. “My message is: Muslims need to live with us, not next to us or against us,” he said. Chancellor Angela Merkel has declared the death of multiculturalism in Germany, saying that it had “failed utterly” , in what has been interpreted as a startling shift from her previous views. The German leader said it had been an illusion to think that Germans and foreign workers could “live happily side by side”. “We kidded ourselves for a while that they wouldn’t stay, but that’s not the reality,” she said at a conference of the youth wing of her Christian Democratic Union party at the weekend, referring to the gastarbeiters, or guest workers, who arrived in Germany to fill a labour shortage during the economic boom of the 1960s. “Of course the tendency had been to say, ‘let’s adopt the multicultural concept and live happily side by side, and be happy to be living with each other’. But this concept has failed, and failed utterly,” she said, without elaborating on the nature and causes of this failure. Merkel’s verdict marks a shift in her previously liberal line on immigration which had always put her at odds with the more conservative wing of the party. While she stressed in the same speech that immigrants were welcome in Germany and that Islam was a part of the nation’s modern-day culture, her remarks positioned her closer to Horst Seehofer, the Bavarian state premier of the Christian Social Union, who last week called for an end to immigration from Turkey and Arab countries. They also align her with Thilo Sarrazin, the former Bundesbank member whose book on how the failure of many of Germany’s 16 million immigrants to integrate was contributing to Germany’s decline led to his dismissal. Sharing the same podium as Merkel in Potsdam, Seehofer also said “multiculturalism is dead” and that both the rightwing parties were committed to a “dominant German culture”. If Germany did not revise its immigration policies, he said, it was in danger of becoming “the world’s welfare office”. BayernLB has already earned itself the unenviable accolade of becoming Germany’s first bank to request help from the government bailout funds. On Friday it added a massive bailout package to its trophy shelf: a €30 billion lifeline will be thrown to the ailing business. To restore it to health, Bavarian Governor Horst Seehofer said the Munich-based BayernLB would be granted €10 billion ($12.9 billion). He also said the bank requires lending guarantees to the tune of €20 billion. Of that he said he would seek €15 billion in interbank lending guarantees under the federal plan. Germany’s second biggest regional bank has been hit hard amid the financial domino effect. First, the US subprime lending crisis and subsequent credit crunch left it, and many peers, with hefty write-downs. 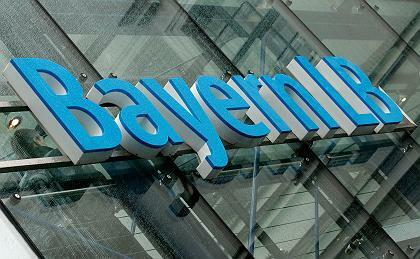 Then, BayernLB’s problems deepened with losses generated by bank failures in Iceland.